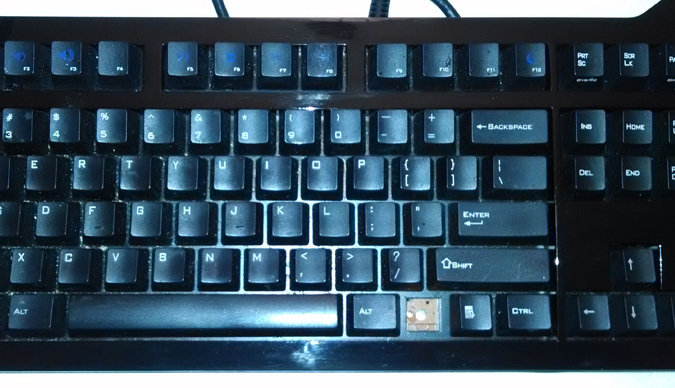 There are some of us out there who really can’t stand typing on the cheapo $5 keyboards that come with computers these days and will spend $130 on a very clicky keyboard. I’m old school, and I started my career using IBM PS/2s with the very heavy and very precise keyboards, and, in fact, I used one of the original PS/2 keyboards for 20 years until it gave up the ghost. Now, I always use one of the many modern clones of these keyboards on all my computers. At work, I use a dasKeyboard Model S, but the forward slash/pipe key broke, which is a pretty important key for people who spend a good bit of time working at DOS and Linux shells. 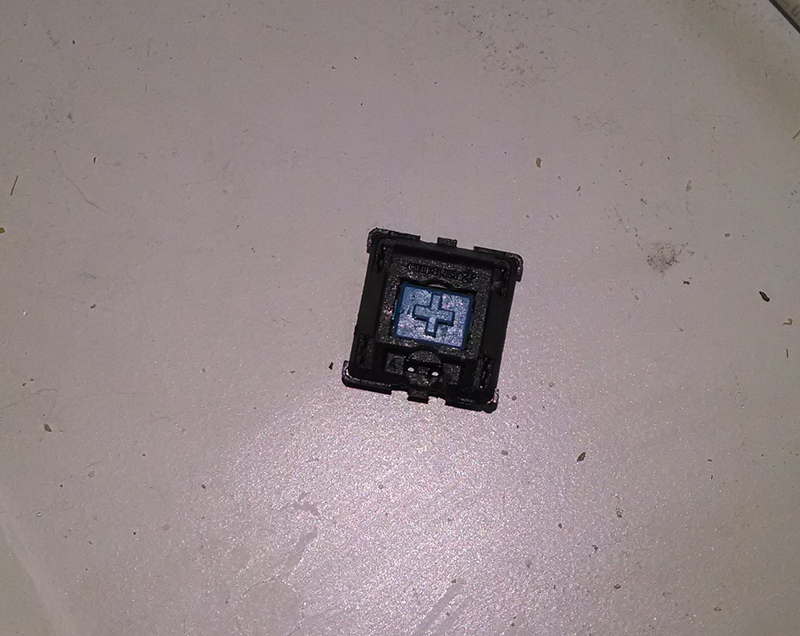 and I was able to unsolder the broken switch and replace it with the one under the windows key. This picture shoes the location of the screws. You have to pull off 2 of the rubber feet to get to screws, and it is important to note that there is no screw under the label, even though it feels like there is one (you can see I ripped up the label trying to find it). Once you open up the case, which takes a bit of force, you will need to unscrew the PCB, because the ribbon cable does not come off. You can then just solder the new key in place. The finished product. 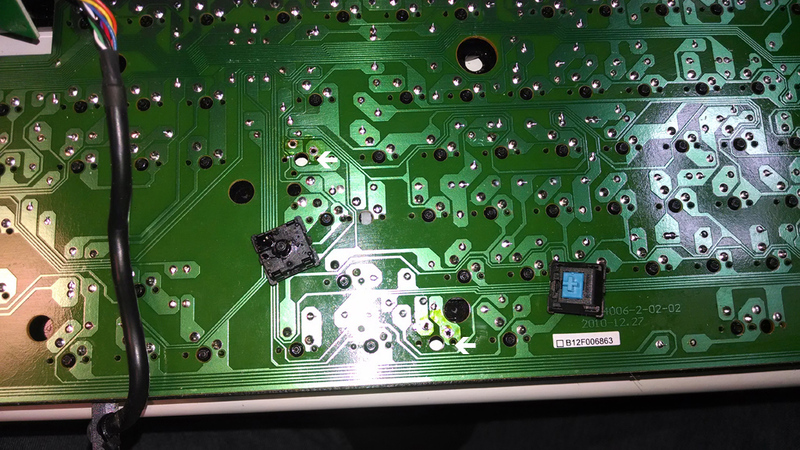 I’ve opened a case with dasKeyboard to find out if I can buy a new key, but if not, or it is too expensive, I will probably solder the broken key into the hole just to cover the spot. Update: The key switches are a standard part, Cherry MX MX1A-E1NW, for the blue capped models. You can get them at Mouser, Digikey, Newark14, and other places. 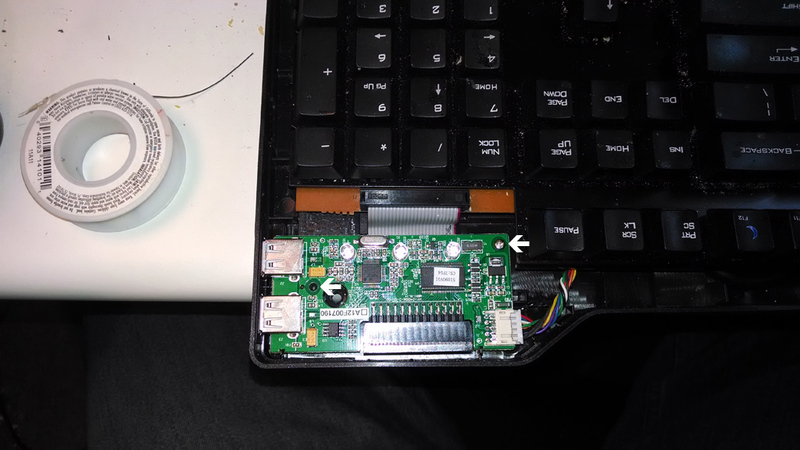 This entry was posted in Life Hack and tagged das Keyboard, dasKeyboard, dasKeyboard repair, dasKeyboard stuck key, keyboard repair, PS/2 Keyboard by kevinmkessler. Bookmark the permalink.